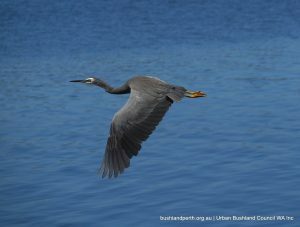 Whiteman Park is a unique conservation and recreation reserve that covers nearly 4,000 hectares of natural bushland and leisure facilities located in Perth’s northern suburbs. It offers a range of natural environments as well as more formal recreation areas and historically themed facilities. The Park is extremely popular on weekends and especially on public holidays. It is very family oriented with a fabulous range of interest for littlies and adults alike – check it out on the Park’s website. 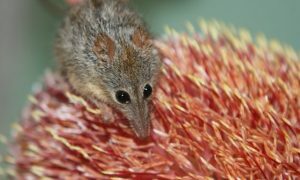 The conservation area encompasses a range of diverse habitats, with the sands of the Swan Coastal Plain supporting woodlands of marri, jarrah and banksia; extensive heathland; melaleuca wetlands and unique ephemeral damp lands. There are excellent stands of the candlestick banksia (Banksia attenuata) and the firewood banksia (Banksia menziesii). It also contains a number of eucalypt woodlands. The marri trees (Eucalyptus calophylla) and older growth jarrahs (Eucalyptus marginata), are the largest trees in the Park, growing to heights in excess of 25 metres and a girth of 1.5 metres. Other eucalypts found at Whiteman Park include the coastal blackbutt (Eucalyptus todtiana) and, in the damp land areas, flooded gums (Eucalyptus rudis). The Park is located over the Gnangara Water Mound and thus its existence protects one of Perth’s major sources of drinking water.Nearly half of Whiteman Park’s land is retained for the conservation of wildlife and provides a protected habitat for a wealth of plant and animal species native to the area. Start your visit to Whiteman Park at the Visitors Centre by collecting one of their excellent maps or interpretive guides for the bushwalking trails. There are three trails: Goo Loorto Werillyiup and Wununga – encompassing Bennett Brook, Horse Swamp and the Park’s Banksia woodland respectively. (Goo Loorto means ‘type of eucalypt’ in the local Aboriginal language, Noongar). This trail is a leisurely 3km return trip, starting at car park 24 in the Mussel Pool picnic area. 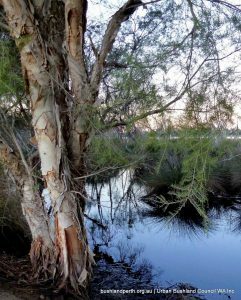 It follows Bennett Brook through partially cleared cattle-grazing farmland, and meanders under groves of flooded gums (Eucalyptus rudis) on the banks of the Brook. From August to September, walkers enjoy the display of golden wreath wattle (Acacia saligna) located in groves close to the track. During winter and spring the water flows and the chorus of frogs can be heard; while in summertime gum leaves scent the dappled shade along the drying water course. Download the trail map. (Werillyiup means ‘swampy place’ in Noongar). This is a 2.5km loop, starting at car park 23 in Mussel Pool. 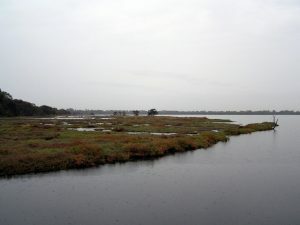 This walk encompasses Horse Swamp, a seasonal and spectacular wetland, which is alive with the waterbirds breeding there from July to October, when water levels are their highest. 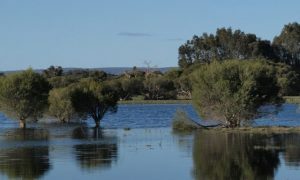 A bird hide on the western edge of the Swamp allows an outstanding view of the wetland birds and the kangaroos that graze on the swamp fringes in the morning and late afternoon. A lookout provides an aerial perspective of the wetland and an appreciation of the size and significance of the site. Download the trail map. 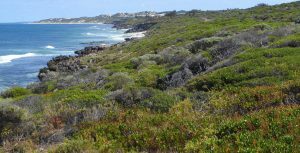 (Wunanga means ‘quiet’ or ‘peaceful’ in Noongar) This is a 4.3km long trail, set in a figure-of-eight design to allow walkers a short walk option. 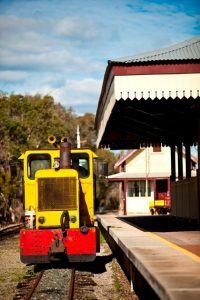 The trail commences by the Village Junction Railway Station (near car park 1) and winds its way through a number of vegetation types, allowing walkers to experience the amazing diversity of jarrah, marri and banksia coastal plain bushland. The understorey is alive with flowering shrubs throughout the year, although in the cooler spring months, walkers can enjoy trigger plants and orchids in an array of colours and forms. Download the trail map. The Park takes its name from Mr Lew Whiteman (1903-1994) who bought land in the area in 1939 to graze cattle, before developing the popular picnic spot of Mussel Pool in the 1960s. During the 1930s and 1940s, sections of the southern and eastern areas of the land were cleared and used for grazing. However significant vegetation corridors were retained. 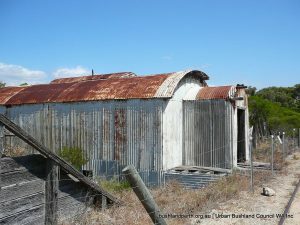 From 1977 to 1990, land was purchased by the state government with the understanding that it be owned and used by the community in perpetuity. Whiteman Park was officially opened in 1986. Areas west of Beechboro Road and along the Bennett Brook south to the Swan River came under Whiteman Park management in 1999 and 2001 and were formally added to the Park in 2007, increasing the total area to 3811ha. 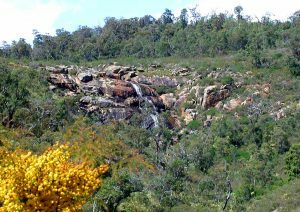 Nearly half of Whiteman Park’s land is retained for the conservation of wildlife – essentially as a means to provide protected habitat for a wealth of plant and animal species native to the area. Over the past 30 years considerable environmental research has been undertaken into the wildlife and ecology of the Park and assists its future management. Whiteman Park has two accesses.